Washington, DC - New America is pleased to announce that its Resilient Mesh Wireless initiative is a winner of RISE : NYC, a New York City Economic Development Corporation (NYCEDC) competition to identify and deploy creative new technologies to promote recovery from Superstorm Sandy, mitigate the impacts of future storms, floods and power outages, and strengthen the City’s long-term resiliency efforts. The Resilient Mesh Wireless project is a series of local networks serving small businesses combined with community-based trainings in Sandy-affected areas. The debut project of New America’s new Resilient Communities Program, the Resilient Mesh Wireless initiative will be a collaboration among New America, Sky Packets (one of the country’s leading installers of neighborhood Wi-Fi networks), community anchor institutions across the city’s five boroughs, and more than five dozen local small businesses. In addition to setting up Wi-Fi coverage in several Sandy-affected neighborhoods in all five boroughs, New America will conduct training programs in six neighborhoods: Stapleton, the Rockaways, the South Bronx, the Lower East Side, Gowanus, and Long Island City. The project plan builds on OTI’s experience deploying resilient local networks in the field using Commotion Wireless and other technologies, and particularly its support of the Red Hook WiFi network, which helped that neighborhood in Brooklyn stay connected when large-scale commercial networks failed due to Superstorm Sandy. The Red Hook network, another winner of RISE:NYC, is maintained and governed by the Red Hook Initiative and the Red Hook Digital Stewards. OTI developed the Digital Stewards training approach with partners in Detroit and Brooklyn to support local wireless network construction and facilitate neighborhood self-sufficiency through technology. In line with the RISE : NYC competition’s focus on supporting local economic development, the project focuses primarily on ensuring that small businesses will have a robust neighborhood Wi-Fi solution and a reliable backup communications service in moments of crisis. 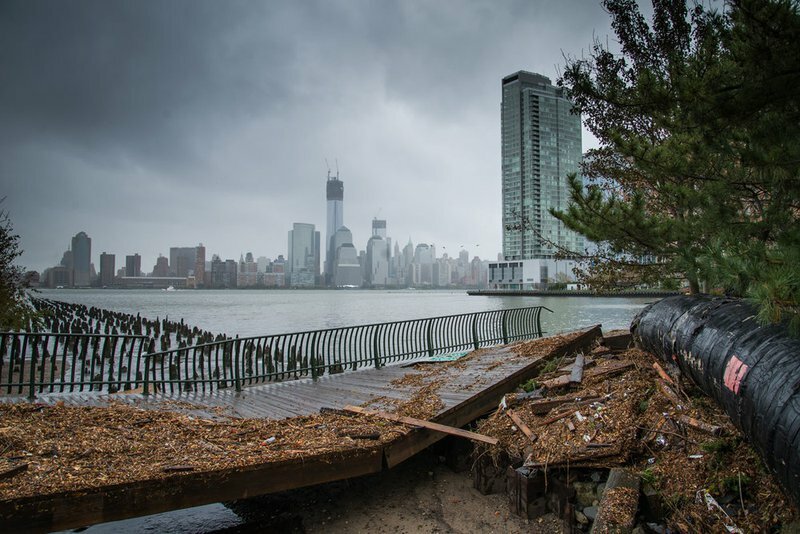 "RISE : NYC is part of the City's comprehensive suite of initiatives to mitigate the effects of severe weather and climate change on New Yorkers, and all of the winning technologies will help support and strengthen small businesses across the City," said NYCEDC President Kyle Kimball. "Each of the 11 innovative winning technologies will make the City a safer, stronger and more resilient place, creating economic support and additional opportunities for New Yorkers and small businesses." After Sandy, many neighborhoods found a new spirit of collaboration and mutual support. This project will help capture that spirit and translate it into durable communications infrastructure.